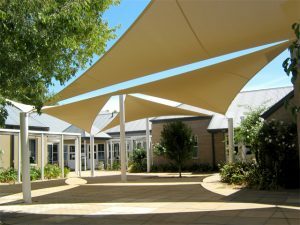 Shadeform specialises in the design, manufacture and installation of a wide range of custom and modular shade and all-weather structures. 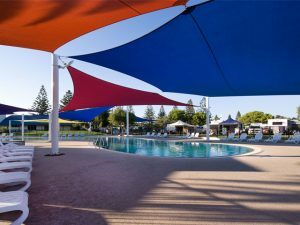 With over 25 years in the shade industry, Shadeform provides a complete service from initial design consultation through fabrication to final installation. 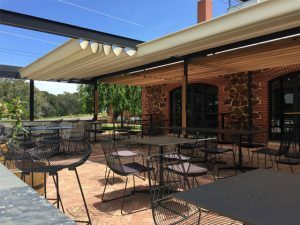 Shadeform uses only the finest quality high-strength shadecloths, monofilament, polyester mesh and PVC fabrics with posts and framework manufactured from high-quality Australian steel. Fabrics are available in a wide selection of colours with supporting steelwork in a range of finishes, including galvanised, powder-coated or epoxy painted. 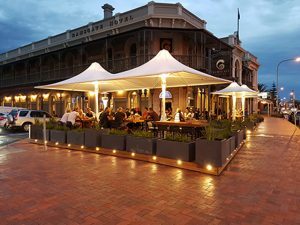 All structures and footings are professionally designed by specialist engineering consultants.